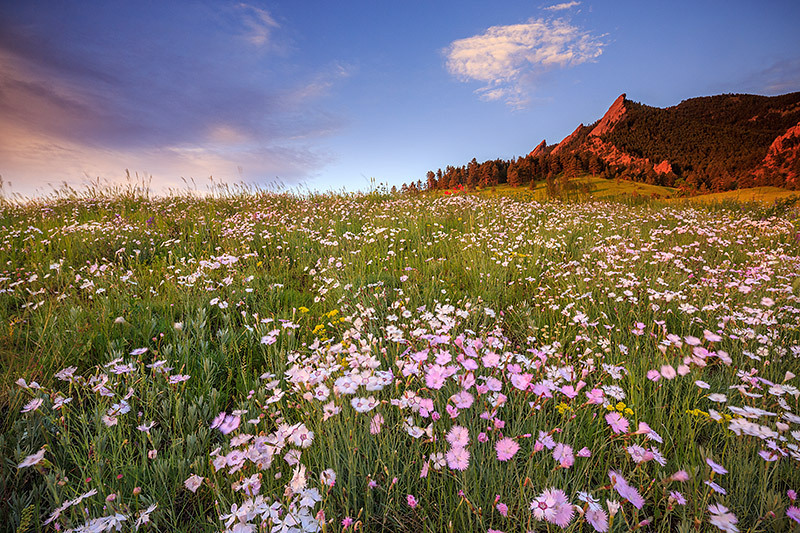 Wildflowers grow thick in the meadow of Chautauqua Park just below the Flatiron formation. It's a popular pastime for locals in Boulder to hike up along the hillsides of Chatauqua Park before before dawn to be in position to view sunrise from one of the best locations in Boulder. These thick patches of wildflowers seem to be crowding each other out attempting to get the best view of sunrise from this hillside. Photo © copyright by Thomas Mangan.